There isn’t much that can rival the anticipation that comes while watching meat cook on the grill! 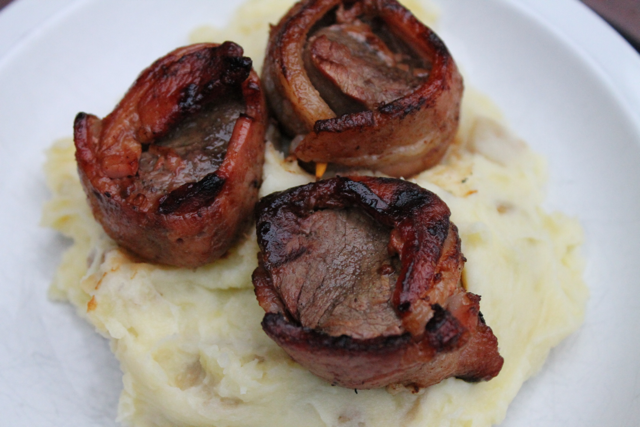 Pull out your prime venison cuts and put together this simple meat and potatoes dish this weekend. 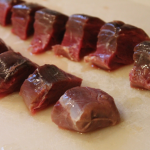 Venison is remarkably low in fat, which makes it a much healthier red meat option. The absence of the juicy fat means that this meat needs to be cooked carefully, overcooking will ruin it! 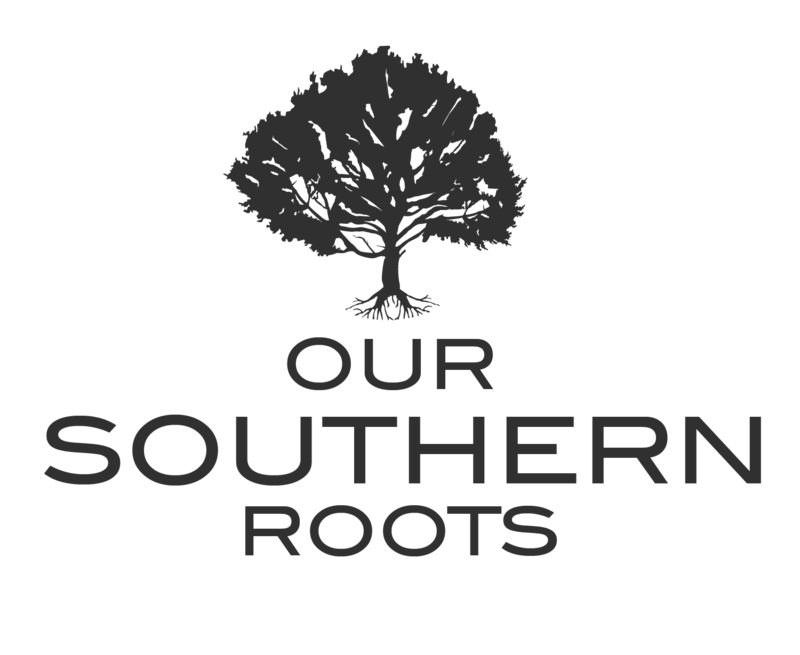 Whenever we’ve heard someone say they’ve tried venison and didn’t like it, our first thought is that they probably overcooked the meat. 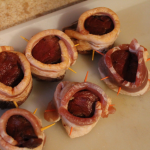 Venison steaks need to be cooked no more than medium, with a pink center. 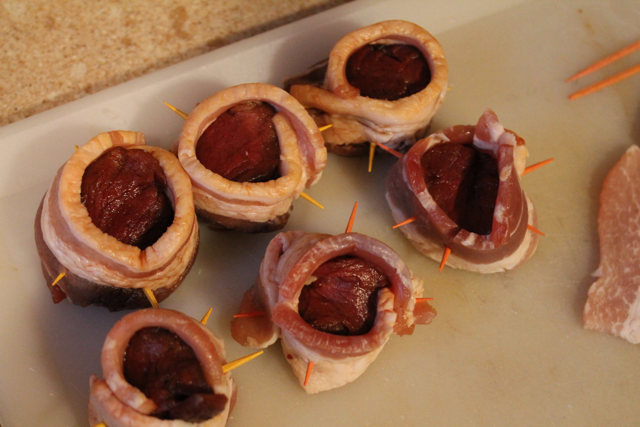 For those that are not sure they like venison, here is the dish we would serve to forever change their minds! 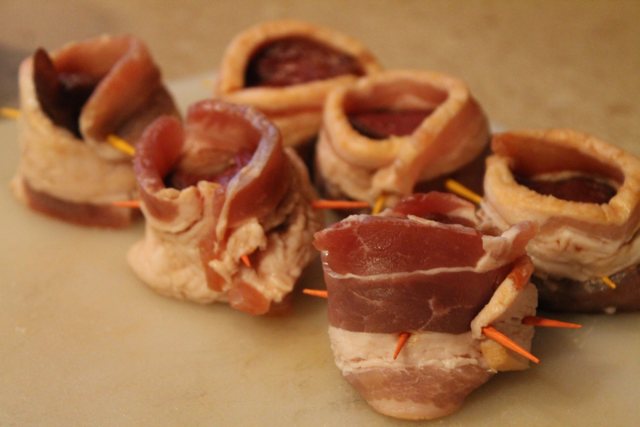 We used sliced tenderloins, which are considerably smaller than the backstrips. Both are excellent choices for this recipe. Do you use Dale’s? 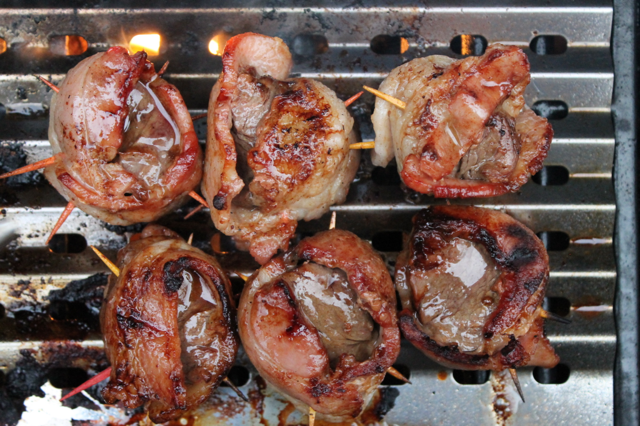 It’s certainly a favorite of ours when it comes to marinating venison. 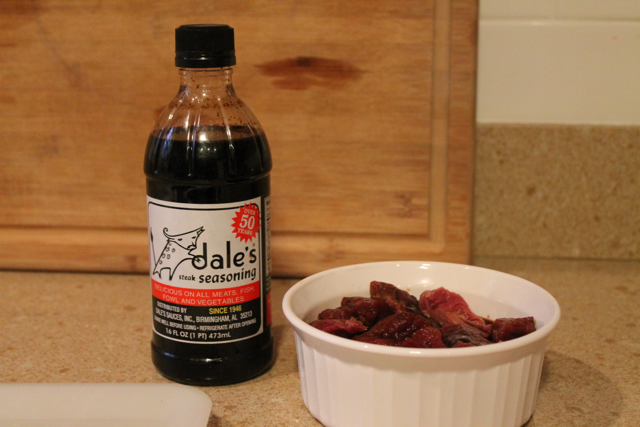 The strong and salty flavor of Dale’s can be overpowering when venison is marinaded too long. We have found that a quick soak, or even brushing it on as the meat grills is just about perfect. 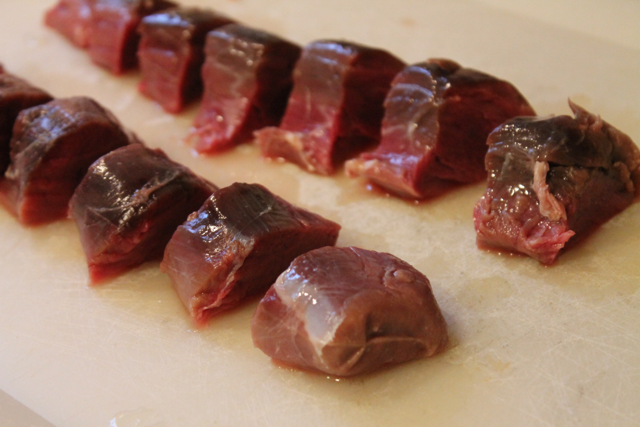 What to do: Cut tenderloin into evenly sized medallions about 3/4″ to 1″ thick. 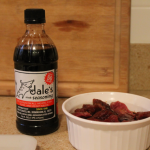 Marinate meat in Dale’s sauce for 30 minutes. 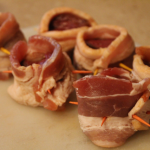 Wrap each piece of meat in 1/2 strip bacon and secure with toothpicks. 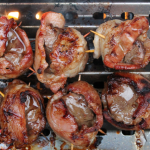 Grill venison medallions on medium heat until bacon is browned and meat is cooked medium rare or medium. Flipping once during cooking, if possible. 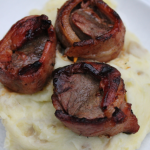 It’s a good idea to always serve bacon wrapped tenderloin with potatoes! Delicious! That looks so good! One of there days, I want to eat some vinison that tastes as good as it looks in your photos!